ProMontreal Entrepreneurs program offers a number of distinct services to support the young entrepreneur. Business Profile: Presence is Montreal’s first drop-in meditation studio. We offer guided and silent meditation classes seven days a week for people who want to learn how to meditate, or just a space and some guidance to maintain an existing practice. Their story: A longtime meditator, Andrew was working in tech and found himself wishing he had a space to go to better support his practice. With two young kids at home he found it challenging to make the time and space to meditate. He approached his old friend Joe Flanders who had successfully built a psychology clinic that relies heavily on meditation and mindfulness techniques as a form of therapy and a means to improve mental wellbeing. Joe jumped at the opportunity to collaborate on the aligned vision, and Presence was born. PME Quote: PME’s support came at a crucial time for us, allowing us to gain momentum around the brand. We are now more confident to overcome growth challenges and scale the business. 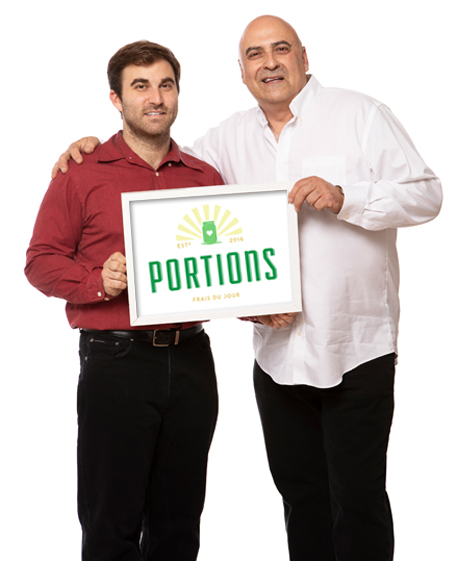 Business Profile: Portions manufactures and distributes healthy, delicious fresh foods sold through their innovative network of vending machines. Our goal is to create greater access to these foods so people can lead both healthier and happier lives. Their story: Long time foodie Aaron Hutman has been dedicated to providing delicious foods to hungry customers. Ryan Hutman, a personal trainer, recognized the need for nutritious meals for his fitness- minded clients. Together they are turning the vending industry upside down through their new development Portions: healthy eating uncompromised by taste, accessibility and value. PME Quote: Through PME’s support we have been able to acquire new machines allowing our company to expand to new locations and create key partnerships. PME mentors have offered ongoing support from creating key marketing strategies to acquiring strategic location sites for expansion. Business Profile: MKRLAB is a makerspace and tool library located in the heart of NDG. We are a membership-based neighbourhood workshop, whose mission is to build a community of makers and doers. We encourage members of all ages to discover and explore their creative passions using raw materials, tools, technology, repurposed items, and imagination. We are a hub for innovative, creative, and entrepreneurial endeavours. We provide facilitation, learning resources, and an educational space for our members to work and access tools. Here, members have access to: equipment for 3D printing, printmaking, electronics, culinary sciences, and more. Central to our ethos is the workshops and programming we offer for adults, kids and families. Their story: MKRLAB was inspired by our CEO, Dan Aronson, and his experience as a prototyper, designer and tinkerer. Our family has always had a passion for the DIY. This naturally led to Dan’s involvement with the emerging Maker Movement, which began in the mid 2000s in New York City. When an ideal location in NDG became available, our family rallied behind the concept of a membership-based community workshop, and combined our talents and professional experience to turn this dream into a reality while fulfilling a need in our community. PME Quote: Applying for funding from the PME Fund was our first big stress-test. Pitching our start-up forced us to articulate and communicate our vision in a way that would achieve market buy-in. The PME Fund provided us the seed capital needed to develop our brand concept and start buying equipment. 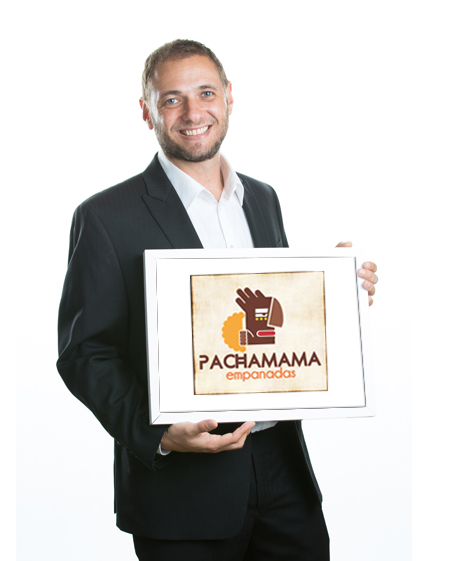 Business Profile: The name Pachamama refers to the Inca goddess of the earth who presides over planting and harvesting. This name perfectly represents the spirit of our cuisine: empanadas made from ancestral recipes from the north-western region of Argentina, specifically from the province of Tucuman. Pachamama offers hand-made, oven-baked empanadas using 100% natural ingredients, without preservatives or artificial dyes. His story: Pablo Gerstenfeld is originally from Argentina, where empanadas are the most common fast food choice among the population. The product combines several characteristics that make them very appealing to the general population: healthy, source of protein, versatility, among others. Pablo understands that there is a missing gap regarding the fast good category meals in Canada: fast, delicious and healthy food. He goes to Argentina to learn the traditional recipes and then re-work the recipes in order to increase their appeal to the North American market (colorful dough, diverse shapes). The product is sold in store baked or frozen. The challenge is to introduce empanadas as the alternative to pizzas, poutines and hamburgers. PME Quote: PME was essential to the creation of the company. The monetary help was the key to being able to start as we wished, with a great branding and a beautiful look of the restaurant. The mentoring provided by PME has been a game changer for us as we have very little experience in the domain. Business Profile: Ugo has created the world's first automated smoothie store where you can easily add delicious, all-natural and vegan smoothies on your menu. UGo has developed the healthiest smoothie recipes possible, everything is straight from nature! His story: UGo smoothies provides all natural healthy nutrition on-demand through its smoothie vending machine. We developed a system that replaces smoothie stores and makes smoothies using fruits and vegetables with no added sugar or dairy. Our founders found it very difficult to eat well both in university and as young professionals. 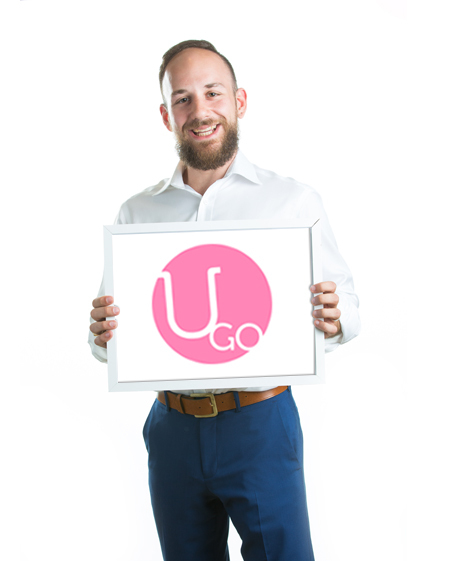 With millions of North Americans suffering from obesity and bad nutrition, the founders of UGo sought to use their experience in technology to create a solution. Their product: an automated smoothie system that allows users watch as their smoothie is made fresh from scratch. We plan to launch our system commercially in 2018 and will be partnering up with one of Canada's largest frozen fruit distributors to give people across North America access to health on-the-go. PME Quote: PME helped us secure government funding to finish developing our concept system. From there we launched our first smoothie location and are now close to launching out first commercial line of smoothie systems. The PME team has put us in touch with mentors who have helped us develop our marketing, branding and business strategies. The PME team has been incredibly supportive of our endeavors. They also challenged us appropriately to improve and build a better business. 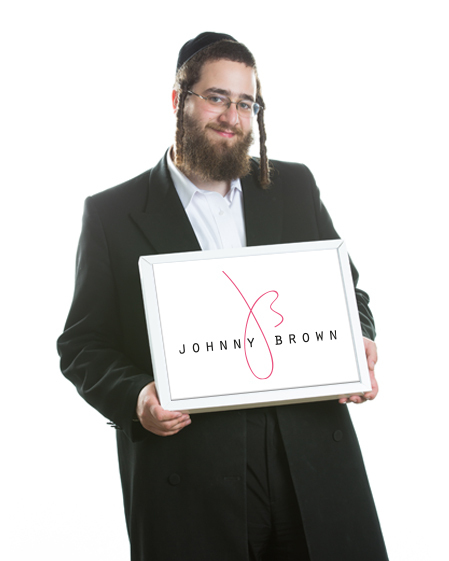 Business Profile: Johnny Brown has been making premium quality dance wear and ballet shoes for beginner students and professional dancers since 1932. The company prides itself on creating partnership with dance schools across Canada in order to deliver the best products that fit the school's needs. His story: I saw an opportunity to provide better quality materials to every dance schools across Canada in an easier and better way, I took a risk and did it. PME Quote: More important than the money, it's the support PME has given me and continues to provide. That has included advice on starting a business, helping me find additional seed money from government sources and allowing me to attend PME's ABCs of Business workshops – all free of charge. Mentor: Mike Glass, Taught how to manage teams and to problem solve. Moshe (Paul) Reichman: I Learned the importance of giving, being humble and remaining calm in business. Business Profile: Company has software built to extract financial data (statements and cheque images) from hundreds of bank/credit card web sites and present the data to; accountants, lenders and other financial software companies that require the use of client financial data. Financial Service Professionals take their client's financial data and prepare tax returns, lend money or prepare financial models to manage their money all based upon actual, live financial data. Their story: Was preparing tax returns for accountant and it was taking hours upon hours to go back to collect financial data, look at the every cheque transaction and keep a record. What if I could have a software fetch every cheque, every transaction and every statement and forward it to my accountant totally automated and seamless. We thought there were many companies doing this already, but in reality there were none! It made my job easier, my bookkeeper's job easier and then we knew we were on to something. 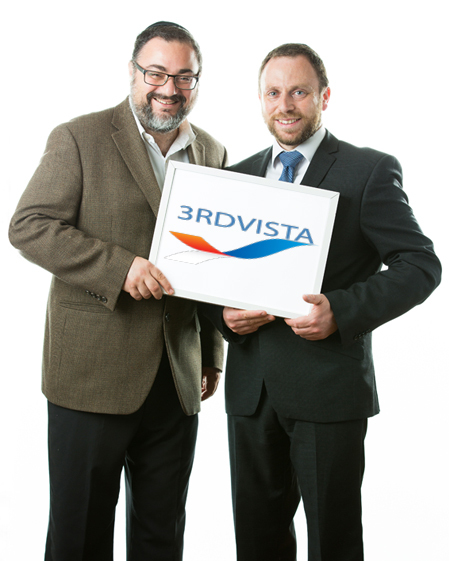 Hence came out the concept of 3RDVISTA. PME Quote: Every company prior to attaining the next level needs that "extra golden stepping stool" for some, it's a single large sales order, others a joint venture, but for 3RDVISTA it's the; golden, once in a lifetime opportunity to interact with some of the greatest business minds in Canada that make up ProMontreal Entrepreneurs. 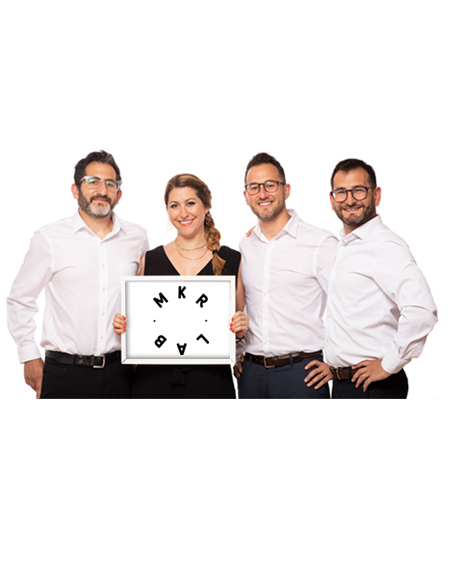 ProMontreal Entrepreneur (PME) is a social business model created to help young Jewish entrepreneurs build and strengthen their business roots in Montreal. The PME program provides guidance and support on how to launch a start-up, and helps established businesses through a mentorship program. Through the PME fund, aspiring entrepreneurs between the ages of 18-40 can access start-up capital of up to $50,000.